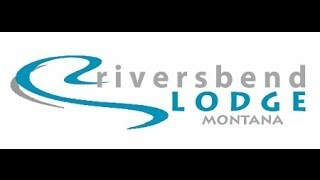 Ready to experience luxury lodging near Yellowstone National Park? This house comes with options: Our Trout House is two-levels. 1. Rent the lower level (Cuttbow Suite up to 4) 2 bedrooms queen and twin bedrooms, 2 bathrooms, sitting room and deck. 2. Rent the upper level (Brown Trout Suite up to 2) queen, bathroom, kitchen, satellite tv, sitting room and deck. 3. Rent the entire house for your group of 6. Trout House is 2250 sq/ft. and sits next to the river. Cook in your private kitchen (grocery store is 5 miles away), or enjoy fine dining prepared by own chef. Concierge service is available too - we said this was luxury lodging. We can help you with any special requests like fishing guide services to the best fly-fishing around, plus a custom painting of your catch. No doubt our location is extremely unique. Just outside of Yellowstone National Park where you can visit with the bear and bison. on a special river that is wild and pure flowing through the property. The home is built with “green” technologies. The Trout House is one of 3 lodging options at Riversbend Lodge. Our historic luxury lodge is newly remodeled and 4500 sq/ft. - sleeps up to 8 people. The separate meeting room is perfect for business or group events. The Eagle’s Nest is a new apartment-style rental. 1500 sq/ft. - sleeps up to 8 and has a a private deck by the river. With 120 acres to put under your shoes, there is plenty of local exploring to do. In fact, we were the stomping grounds of Lewis and Clark, Crow Indians, and early emigrants in search of gold. It is important to us that you live like a local, so our knowledge of the lakes, rivers and mountains is yours. Ask us about our one, three and five day fishing packages - Pro Tip: June through September is “prime time”. Your cabin time includes fishing choices: 5 rivers; 8 private water spots; and Yellowstone Park. Our place is yours. Horseback riding, whitewater rafting, and nature educational classes too. Cuttbow Suite (Lower Level): $250/night double occupancy; $25/each additional person, up to 4 total. Brown Trout Suite (Upper Level): $185/night double occupancy. Doug Gregory —5 star. The Greatest place I have never fished....Yet!!! Jeff Reed. BriAnna Winter — 5 star. Best girls weekend ever! Can't say enough wonderful things about this place! The river and mountain scenery are to die for. The master bedroom in the main lodge and the kitchen were probably my favorite aspects. Outside fire place was set and ready to roll. Homemade caramel was delivered tot he front door. I could go on and on about this place. I can't wait to go back! Ginger Nelson — 5 star. Amazing place to stay with the most incredible views of Paradise Valley. We will definitely make it up here to stay again! What Sweet place! Kmi Lama — 5 star. Best Time of my Life, the riversbend lodge house is amaizing and paradise valley make us feel in heaven. Wish to stay my all Life there with horses and nature.